Fishermen and women travel from all over the world to fish Rowan Lake. 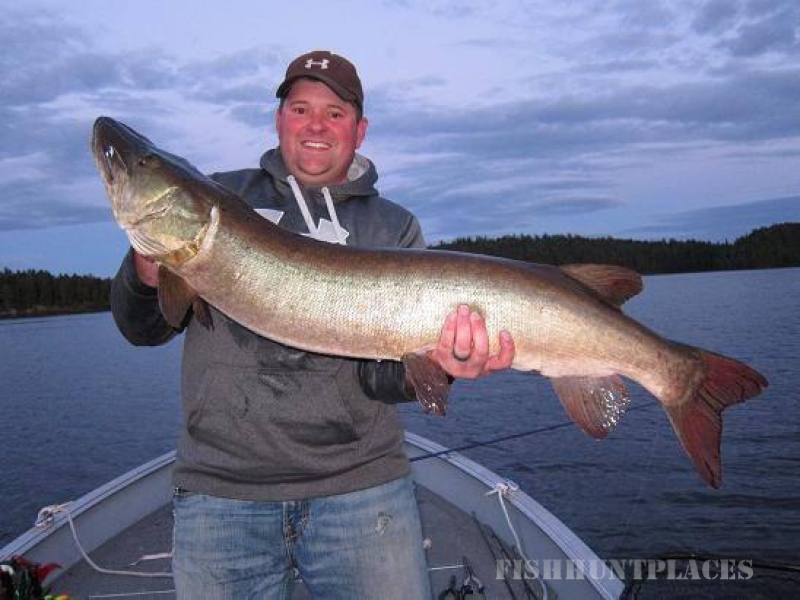 Imagine fishing for trophy Walleyes, Northern Pike, Largemouth Bass, Smallmouth Bass, Lake Trout and the World Class Muskie. 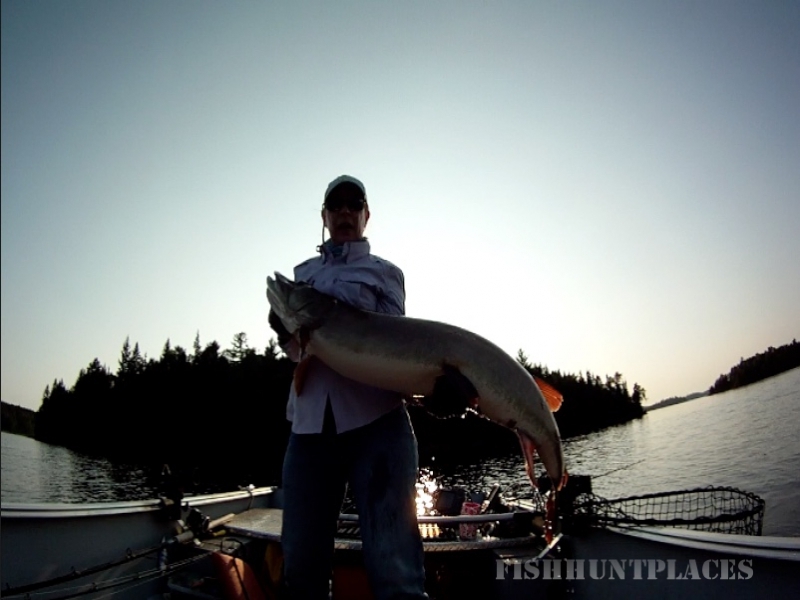 Rowan Lake is renown as one of the top lakes in North America to produce the next world record Muskie. Because of our Lodge’s central Island location, our guests can easily navigate to fishing spots throughout the lake. Every new group arriving to Nielsen’s Fly-In Lodge will be provided a detailed map of Rowan Lake that highlights the most active fishing locations and other pertinent fishing information. Don Pursch will personally go over the map and discuss the best fishing locations, shore lunch spots and options for your stay at our lodge. 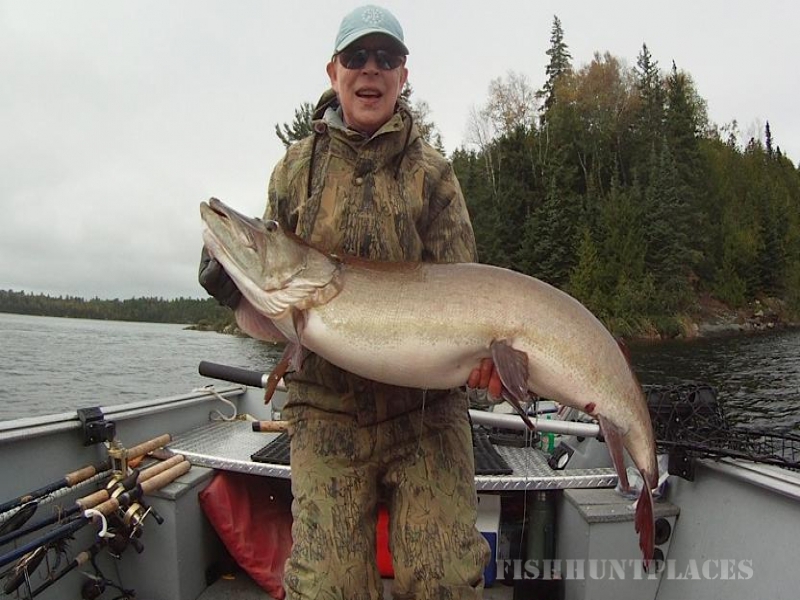 We will also go over all the amenities of the main Lodge, your cabin and how to operate all your boating equipment so that your fishing and stay here at Nielsen’s Fly-In Lodge will be comfortable and hassle free. 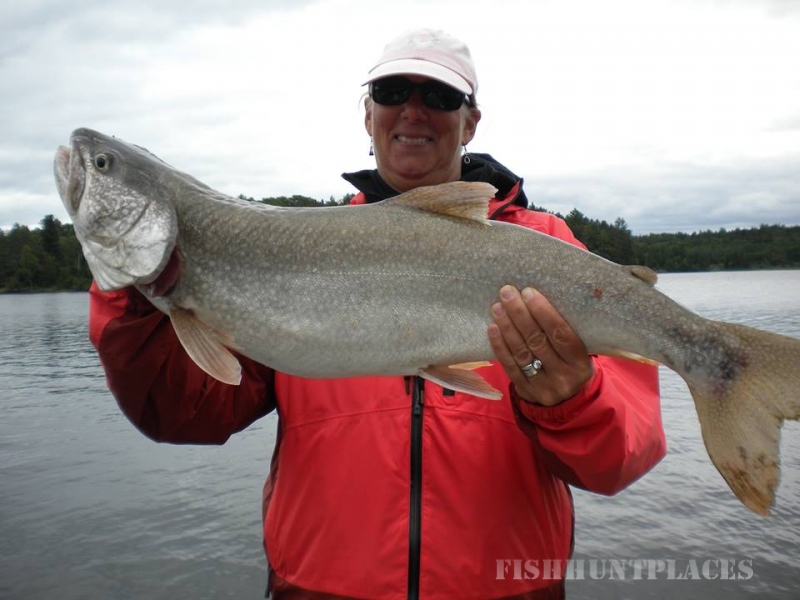 Full-day guiding services are available to show you around to the many “hot fishing spots” on the lake or to help you get familiar with the area so you can explore Rowan Lake out on your own. 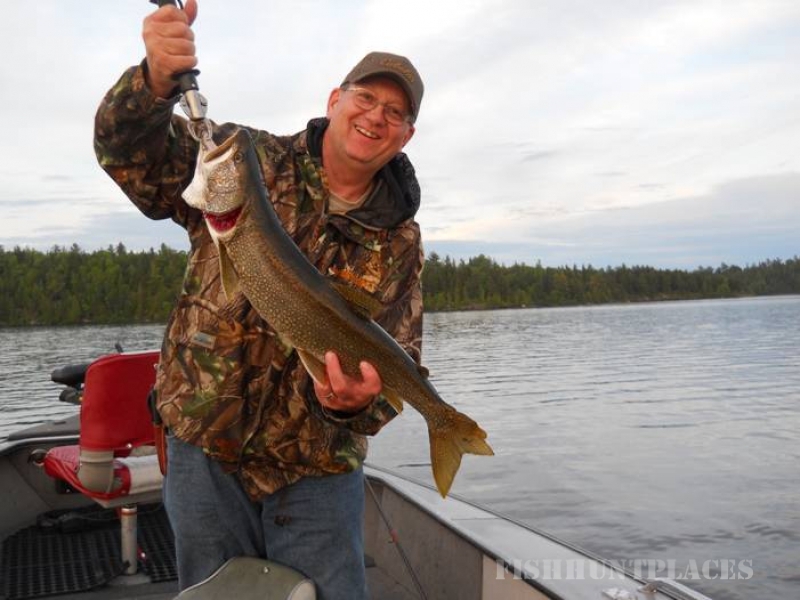 Novice fisherman will have no problem catching enough Lake Trout or Walleye for a delicious and memorable shore lunch. If you choose to use our guiding services, our guides will spend a full day out on the water with you, prepare your shore lunch, and they will clean, package and freeze any fish you wish to transport with you back home. Rowan Lake is a large, diverse body of water. It features shallow weedy bays, rocky reefs and expansive gin clear deep water basins. 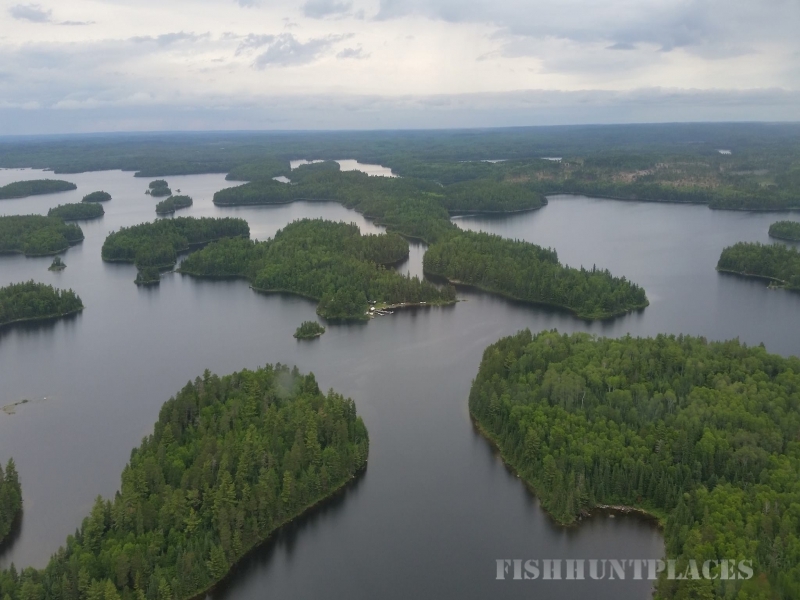 The deep water basins in Brooks Bay, Sullivan Bay and Eagles Nest and their adjoining bays are a combination of all types of Canadian Shield lake structure. Rowan Lake is large comprizing 60,000 acres in size and is 17 miles long and 7 miles wide and has a maximum depth is 180 feet. 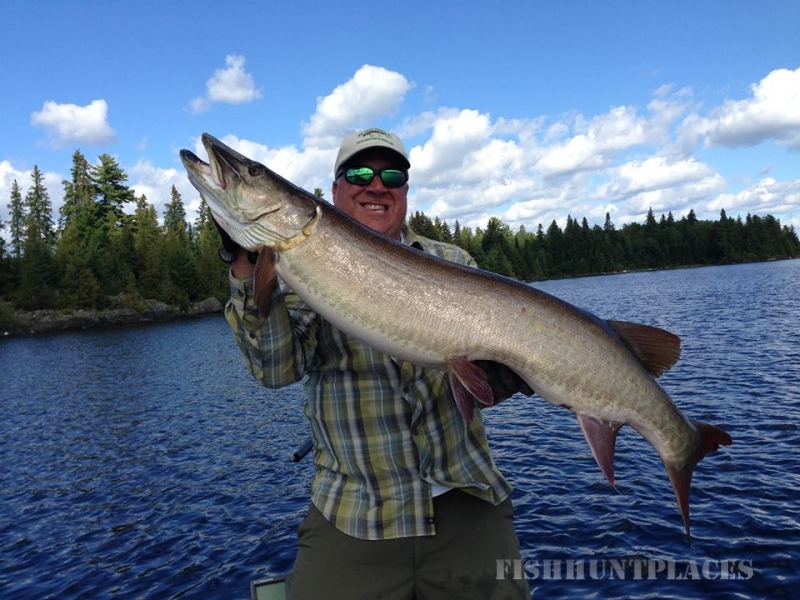 With Nielsen’s Fly-In Lodge central lake location on Rowan Lake, so you will have no problem finding fishable waters without ever seeing another boat the whole day on the water. Rowan also doesn’t have any expansive open water areas that get exposed to the wind. Even in strong windy conditions it is relatively easy to find plenty of protected calm waters to fish.